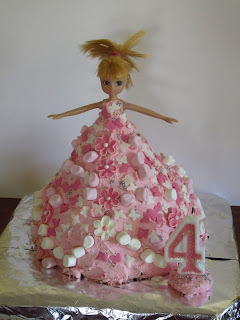 Miss 4 had her birthday recently and is right into everything pink, princesses, fairies, Barbie etc. So I thought I'd share some of my birthday creations. First of all the cake. We needed 2: cupcakes for the kindy birthday, and a cake for her party. 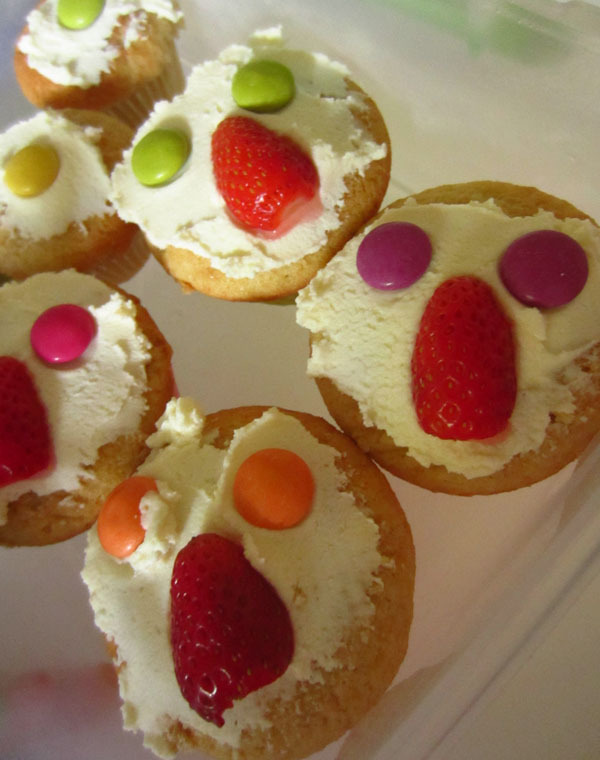 The cupcakes she designed herself, right down to the direction the strawberry needed to face, and I'm pretty proud of her efforts, I think they look fantastic. Although my cake recipe needed a bit of work..
For the party we baked some slices etc. but also these gingerbread star magic wands. 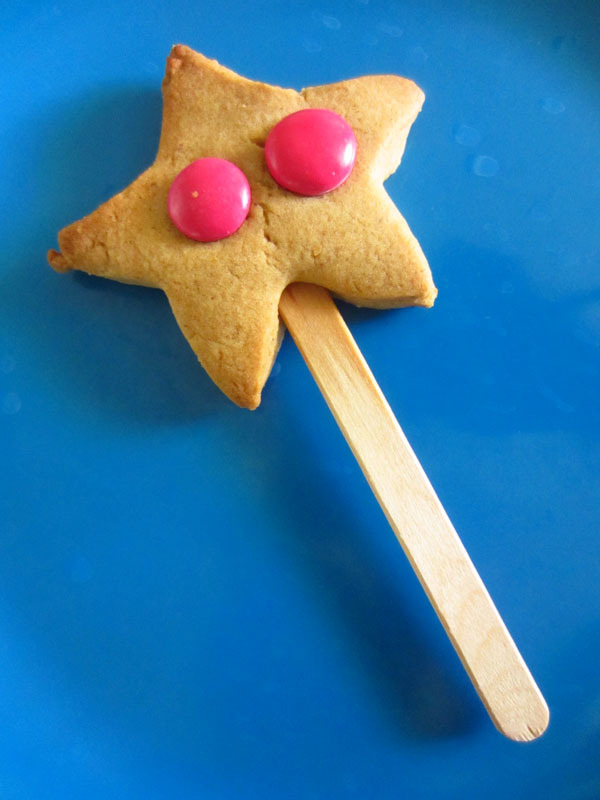 Gingerbread is good for shaped biscuits because it doesn't rise and swell out of shape too much. The kids thought they were terrific. If I had been on M&M duty I would have chosen a different M&M pattern, but Miss 4 knew what she wanted to do, and so I left her to it. The party favour bags contained a wand bubble blower, a cocktail umbrella straw, a pencil with eraser, a couple of sweets and a necklace which I made. I had thought I could make them with Miss 4, but the ribbons were just too tricky to thread through the bead holes. But these necklaces were definitely the highlight of the bags, at least 3 of the little girls wore them all weekend. 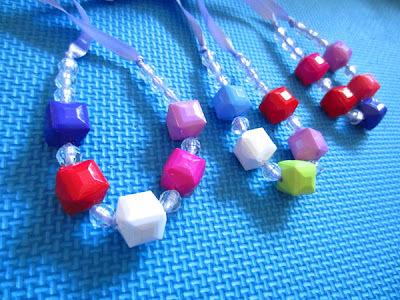 They cost about $1 to make, as the chunky beads were a little on the more expensive side. We also made crowns at the party. 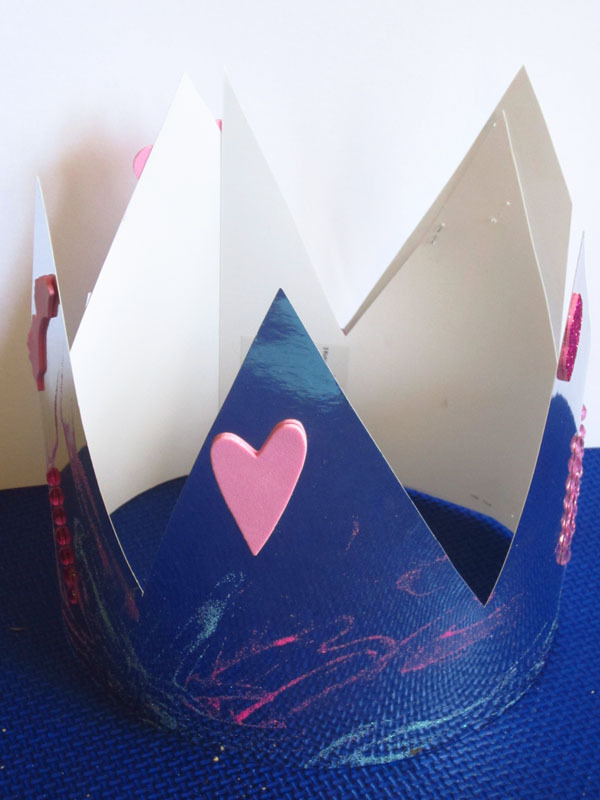 I cut simple crown strips from shiny poster sized cardboard, and let the kids loose with stickers and glitter glue. It kept them busy and happy for about 15 minutes and when they were done, all the early party nerves had vanished. And last but not least the Barbie cake. Well technically the Lottie doll cake, as that was the doll I was allowed to use according to Miss 4. I baked 2 round cakes and 1 cup cake, and then stacked them together and carved them out. I used an apple corer to take the centre bit out so that the doll's legs could fit in. I wrapped the doll's legs and lower tummy in plastic glad wrap before putting her in to stop the icing getting into her hip joints. I iced with pink butter icing and then the kids and I decorated with tiny marshmallows, some sugar flowers and butterflies and silver balls. Usually I do the cake decorating all by myself, because I like the design control, but this one we did together, and it was definitely the most fun I've had decorating, and it was also declared the best birthday cake she'd ever had. Lovely cake!! And all things are great ideas too! I can't believe she's 4 already! Thanks Bec. Yep, nor can I! Thanks Celine, we certainly had fun making it!